Our Accelerated Indoor Light testing laboratory has studied several cases of simulating the exposure with accelerated indoor UV conditions such as retail lighting, hospital storage, offices and schools. We conform to the UV exposure conditions of ASTM G154, “Standard Practice for Operating Fluorescent Light Apparatus for Exposure of Non-Metallic Materials”. 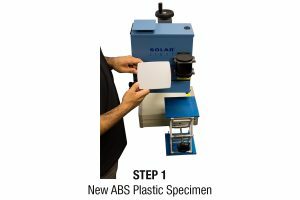 We have also tested to ASTM D 4329-05 (Standard Practice for Fluorescent UV Exposure of Plastics,) ASTM D 5208-09 (Standard Practice for Fluorescent Ultraviolet Exposure of Photodegradable Plastics,) and many others. The relation for exposure conditions in any given simulation will rest upon modeling and the multiple experiment evaluations we have already applied to similar materials. 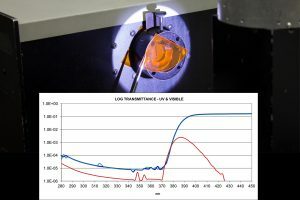 Measurements to evaluate the UVA and Visible irradiance from fluorescent lamps using our NIST traceable sensors have been necessary to determine acceptable acceleration rates, guide the models, and to conform to the specifications. 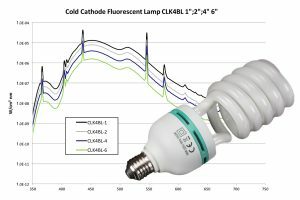 We can also examine the color changes (CIE L* a* b* & Delta-E) using our HUNTER CQ-XE spectrophotometer, which can also be used to measure transmission of visible light through transparent materials. UVA Accelerated Indoor Exposure – Using exclusively ultraviolet light. High Output White Light – Broadband High output lamps, with some ultraviolet light. Combined UVA and High Output White light – Simulates Indoor with some sunlight through window glass. 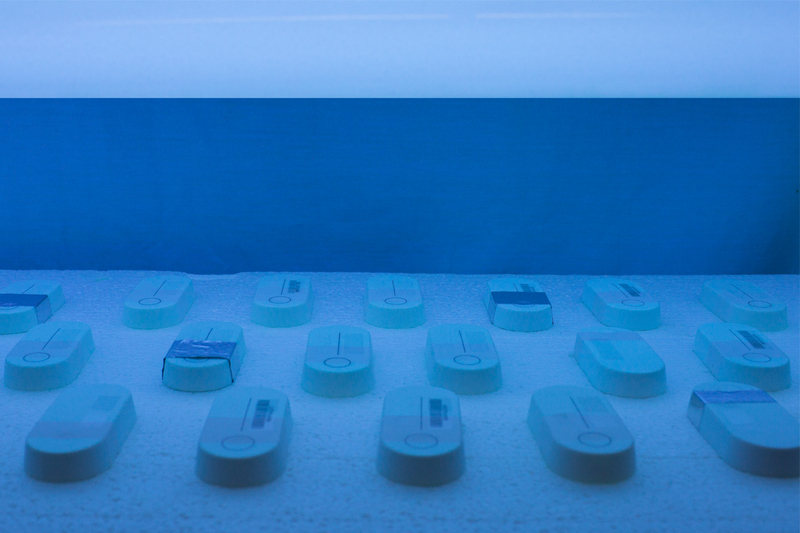 UVA (using ‘UVA-350’ designated lamps) – An alternative method of Indoor Testing with sunlight through window glass. Combined UVA+B, glass filter and High Output White light – Another alternative method of Indoor Testing with sunlight through window glass simulation. We have decades of experience in Accelerated Indoor Light testing, and are the first choice for the most demanding clients in Medical, Furniture, Art, and dozens of other industries worldwide.